AC voltage can reverse direction. This can work to make your heart change its usual beating pattern. People can end up dying from this if their heart cannot regain regular beating. DC voltage will cause muscles to contract and seize up, and if your body begins to act as a conductor, you might be unable to let go. 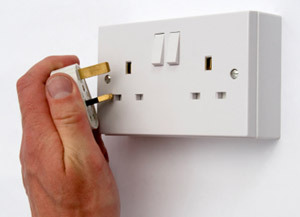 This can also prove fatal, so ensure that somebody cuts the current as quickly as possible. Never, ever handle electrical equipment with wet hands. This can also include having sweaty skin. Do not wear metal jewellery. This includes wedding rings – they will need to be removed when working with electronic equipment and currents. Have a good understanding of how electricity works. Electricians often keep one hand in their pocket so that if a shock does occur, it will travel out of the body rather than being passed from hand to hand and going through the heart. Use a multimeter to check whether any electricity is present.